It started when I was in high school, and continues to this day. When friends describe me as a bass-lover, I often felt misunderstood. They must have reached such impression because of my constant critique of loudspeakers’ bass performance. I would like to think of myself as an audiophile with balanced views of what constitutes a high-end loudspeaker. Then one of them saw the Genesis G-928 Servo-Subwoofer in my listening room, which, in everyone’s eyes, constitutes solid proof that I am a bass-lover of sorts. Some battles you can never win. Arnie Nudell, the founder of the 1991 Genesis Loudspeakers, is now the Chief Scientist at the reborn Genesis Advanced Technologies, with Gary Leonard Koh as the company’s Managing Director. Arnie is always a recognized face of the industry at every Show and CES. He was gracefully greeting Genesis fans waiting in line outside the Genesis room at the 2003 San Francisco Show, and during the CES 2005 demo, he actually sat next to me enjoying music from a system of five, newly-launched G7.1c. 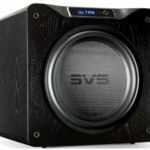 The subject of this review is the company’s latest top, standalone subwoofer, the $2,250, G-928 Servo-Subwoofer. Weighing at nearly 85lb, the G-928 is equipped with two 12-inch metal drivers at opposite sides of the cabinet, and looks slightly larger than the Servo 10B I used to own. 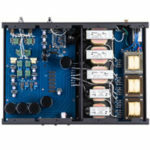 However, the old Servo 10B’s separate outboard control unit design has been replaced with an onboard, internal design in the G-928 with a class-D switching amplifier, thus dispensing with the need for an umbilical cable between the subwoofer and the control unit. On one side of the subwoofer is the control panel with an 180˚ phase inversion toggle switch, three control knobs, one pair of RCA inputs, one single “LFE” RCA input, one single “LFE” RCA output and a stereo pair of “High Level Inputs” five-way binding posts, the last being provided specifically for connections to left and right speaker cables coming from the main speakers. Genesis is of the opinion that home theater users should place the G-928 between the main speakers, thus the speaker cable connectors. On the G-928’s control are also the “Bass Gain” and “Low Pass” knobs, both of the infinitely variable rotational design, and are for use with either the speaker input connectors or the RCA preamp inputs. The “Bass Gain” has a setting from 1 through 11, while the “Low Pass” knob features a splendid range of frequency points, from a low of 40Hz to a high of 138Hz, marked in 9 sequences in between, namely 44Hz, 47Hz, 52Hz, 57Hz, 63Hz, 71Hz, 80Hz, 93Hz and 111Hz. Rigidity of G-928’s cabinet is remarkable, not being prone to rattling even at overwhelmingly high subwoofer output. And the Birdseye Maple custom finish endows the G-928 with a modernistic friendliness. 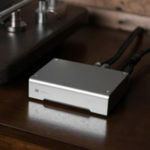 In my setup, I take the 2nd digital out from the 47 Lab PiTracer CD transport to Audio Note’s $1,500, DAC One 1.1x Signature via a 2-meter, Monster Cable Digilink, then send it onwards to the G-928’s “Preamp Input” via an 1.5meter pair of Audio Note’s $380/meter, AN-V silver RCA interconnect. Power cord for the G-928 is a 7-foot generic, since none of the audiophile power cables could reach that far. Main speakers rotated were Audio Note’s $30k AN-E SEC Silver and the $40k SEC Signature. To some of us, the Genesis G-928 Servo Subwoofer System will take some getting used to, especially for those of us who has never used a subwoofer before. In my case, I had found Genesis’ discontinued Servo 10B to serve me well from five years ago, augmenting bottom-end performance from my Celestion SL700. At that time, the effect was one of spectral fullness that a Celestion SL700 user could swear by, in light of the SL700’s inherent tonal delicacy and dynamic prowess. However, like iterations I had eventually sought out from various manufacturers, no subwoofer has been comparable to the quality of my Genesis VI’s pair of a trio of active servo subwoofer mini-tower placed at the outer edge of each main speaker. The Genesis G-928, then again, is a new kind of subwoofer. With much-mitigated placement trials, I found the G-928 to sound the most optimal when placed at the center between the speakers, with the two-woofers firing out to the sides. The bottom-end of the G-928 is such that there is an amazing degree of edge around each bass tone agitated, and placing the G-928 against wall junctions only dulls this precious aspect of bass rendition. Such defined sonic edge in a subwoofer is surprising, so caution is advised against setting the G-928 to unnecessarily high crossover frequencies, as confusion and dullness in presentation would ensue if the subwoofer is to reproduce a wider range of frequencies in interference with main speakers’ bottom-end output. 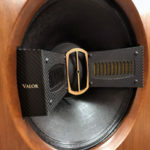 At the centered position between the main speakers, the G-928’s bottom-end attack is one of continuously proliferating bite and gradually intensifying stamina. During the first week, I had to down-adjust the G-928’s volume constantly to avoid the virtuality of being treated with a heart-resuscitation device. When turned on to higher volumes, the massaging effect on my heart muscle through my well-clothed chest was just not called for. At the time when I was using my Servo 10B, I had wished it came with remote controllability for volume adjustment, like the controls of my Genesis VI’s, so that different CDs of various music genre and output levels would have their music tailored with discrete subwoofer output. Therefore, I had anticipated the G-928’s operations to be much more difficult than my Genesis VI’s twin, mini-tower of active subwoofers. Instead, the G-928 surprises me with a user-oriented intelligent design, and volume setting of the G-928 in normal CD listening is far easier than I could imagine. A mere day of listening to the Servo-Subwoofer made me realized that I listen to music predominantly at the same sound level more or less, despite changes around my system, which makes volume re-adjustment on the G-928 a rather occasional concern. In addition, the G-928 also has such bottom-end definition, that I no longer feel the need to make constant adjustment even when the level is more often moderate than perfect. Therefore, in conjunction with the Audio Note speakers, I found the G-928’s output at 3 and a frequency cutoff at 40Hz to be most complementary to the overall presentations. In this setting, the G-928 is not overpowering in supporting bottom octaves of instruments during normal passages, and is still capable of manifesting itself most prominently in transitional passages of bass drums. With the extremely articulate Audio Note AN-E SEC Signature, the G-928 articulated a sonic picture of enormous scale and spectral proportion when rendering orchestral recording of standard caliber, and the reverberation of double-basses amidst a full flight of strings was phenomenal in their audibility and presence, a testament to the definitive caliber of the G-928’s speed and force. Even when lowered to an output level of 2, the G-928 was still supporting so much musical substance, that the music would become lacking at once when the Servo-Subwoofer was totally switched off. Though subtle, the G-928 was refined enough to mate with the Audio Note speakers quite spectacularly. Of course, do crank the G-928 up once in a while when blasting heavy metal, or when you want to feel an F-16’ engine soaring in your home theater. For that, the G-928 is mightily engineered to get the job done, and fun to have. In a way, the G-928 leveled the bottom-end playing field for normal CDs against audiophile ones. Compared to non-audiophile CDs, audiophile versions often exhibit improved clarity and spectral richness via such techniques, like Duestche Grammophon’s Original-Image Bit-Processing®, Mobile Fidelity Sound Lab’s Ultradisc UHR®, JVC’s XRCD24®, Pacific Microsonic’s HDCD®, etc. The superbly agile bottom-end produced by the G-928 complemented the overall musical experience from the otherwise inadequate sounding CDs. 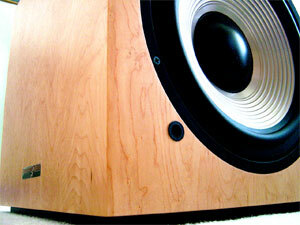 The G-928 also impressed me on a much needed clarification on the effect of subwoofer application. For ages, I thought the Butch Cassidy and the Sundance Kid soundtrack CD contained subtle but real bottom-end signals that would require high-end subwoofers to bring to the foreground. Turned out that I have been mistaken all these years. The G-928 shows that, despite the ingenious composition, the Burt Bacharach CD contains no signal below 40Hz. Similar instances abound in many CD play backs, in which what was previously thought of as insufficient bottom-end manifestation from the Audio Note speaker was in reality all that has been given to us by recording engineers. By experimenting with the G-928’s infinite-variable “Low Pass” frequency control, I have come to terms with many of my favorite CD’s true bottom-end cutoff range. From experiences obtained at dealer demos, during which the salespersons often indulge their customers in displaying the prowess of subwoofers to impress, bottom-end performance is often exaggerated for its own good, leading to a misinformed and mislead patron prone to post-purchase disappointment and ownership dissatisfaction. Because boredom quickly sets in if bass-shock type of sensation becomes a constant obsession. It is up to the more courageous dealers to correct the mindset of those patrons who bring personal discs into the demo to experience room-shaking bass. There is lasting, tremendous satisfaction in discrete use of a high-definition subwoofer in complement of your main speakers’ spectral performance. In my close-eyed listening sessions, I have been able to dismiss the G-928’s and the Audio Note’s existences all together and just appreciate and enjoy the music’s fullness. Therefore, my dear readers, always turn the subwoofer’s output down just a little bit more. When your subwoofer is yielding audible bass notes that were missing before, and you still want to turn up your subwoofer, then it’s quite probable that the G-928 is best left unchanged at this stage, as further tempering with its’ volume will likely serve only to excite the senses and not the music, ruining the fine sensibility it is supposedly helping the main speaker to convey and culminate in you in the very process. It is always tempting to equip one’s sound system with a subwoofer; now that we have the Genesis G-928, the perfect candidate is here. In my personal experience with my Genesis VI’s mini-towers of active subwoofers, I find the G-928’s rendition of bass notes to be musically conducive, as well as extremely deep and punctual. Before the G-928 experience, I thought my Genesis VI’s subwoofer mini-towers were sufficient in augmenting the Audio Note speakers’ bottom-end. Now, with the Genesis G-928, the Audio Note’s are invincible.